Married at First Sight: Honeymoon Island spoilers indicate Shannon Raddler and Kimber Gardner got closer last week. As viewers gear up for the third episode on Tuesday, Lifetime put out a teaser showing what to expect. Added to this, there’s still an unanswered cliffhanger regarding Jocelyn Thompson’s surprise return. As Dr. Jessica notes in the teaser, this week is all about the couples revealing their love languages to one another. Each marriage hopeful has their own unique way of showing affection. Some are more comfortable with physical touch, while others have their guard up. It’s up to the couples to connect with one another on a deeper level on Married at First Sight: Honeymoon Island. Luckily, they’ve got Pastor Calvin and Dr. Jessica to help them on their journey. Shannon Raddler and Kimber Gardner were the first couple to get physical, and they have no problem cozying up to one another. They were the first couple to lock lips publicly on the beach and they have been snuggling with one another in the bed in their MAFS: Honeymoon Island suite. 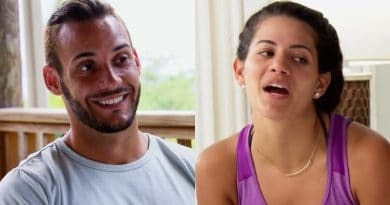 It’s not a stretch to predict that these two will be the first couple to hook up during their stay in St. Lucia. Though Shannon and Kimber got off to a hot start on Married at First Sight: Honeymoon Island, spoilers show some early red flags. The biggest one thus far is that Shannon Raddler wants kids while Kimber Gardner doesn’t. Up to this point, the pair has moved forward despite this. They are going to have to address it at some point. Based on the teaser, they are going to have another issue to deal with this week. Kimber and Shannon are lost in translation when it comes to their love languages. Married at First Sight spoilers show Kimber Gardner needs words to feel validated and loved by her partner. Shannon Raddler, on the other hand, doesn’t. Shannon tells Kimber in the teaser that words don’t really do it for him. He seems much more comfortable showing affection in the form of physical touch. 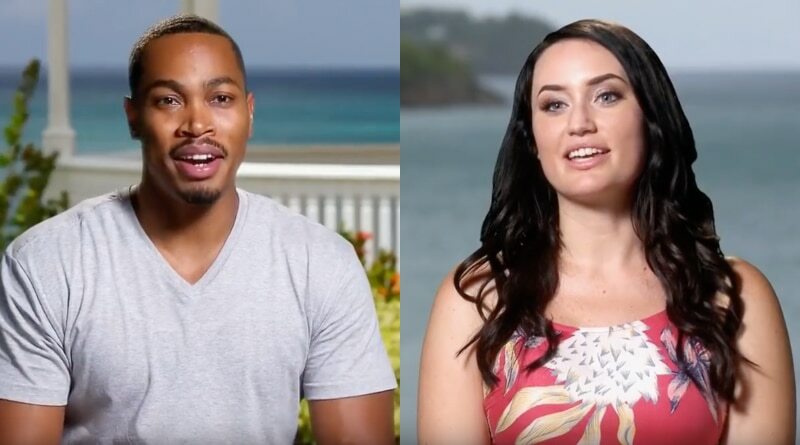 They are definitely a fan-favorite couple, so it will be interesting to see if they can get on the same page as Married at First Sight: Honeymoon Island continues. One of the other highlights in the Married at First Sight spoilers teaser for Honeymoon Island is Jona Bienko’s shocking admission. Jona tells Brandin Brosh that he still kisses his father on the lips. Brandin and Jona haven’t exchanged so much as a hug yet this season, and she’s definitely taken aback by the level of closeness Jona has with his father. Like Shannon Raddler, Jona seems comfortable showing affection, while Brandin holds back. Other than their mutual love of business, they don’t have much in common. Hopefully, viewers will get to see what happens between Jocelyn Thompson and Chris Perry, and whether or not Jada Rashawn gets her heart broken. Fans know that Jocelyn returns for Chris, but whether or not she wins him over remains to be seen. Catch an all-new episode of MAFS Honeymoon Island Tuesday at 9 PM on Lifetime. Come back to Soap Dirt for the latest Married at First Sight spoilers, news and leaks.